Technical Tools is your place for downloadable information to help you install and service your ROSS product. Please feel free to download these for your own use and benefit. If you have questions about the use of these downloads, please contact ROSS Controls® Technical Services. Please note that some of these downloads require Microsoft® Excel. For more information and reference material on specific products and parts, we’ve provided installation guides, pneumatic reference data, user manuals, and service manuals in our technical literature section. These CAD models for our Valves, Safety Valves, Air Preparation Units, and Accessories are now available using our online library. The library is updated periodically, so check back often for new models! If you can’t find what you need from our library, you can always request them from our Technical Services. Finding the right valve for your safety application is quick and easy with the ROSS Controls Safety Valve Selection Tool. 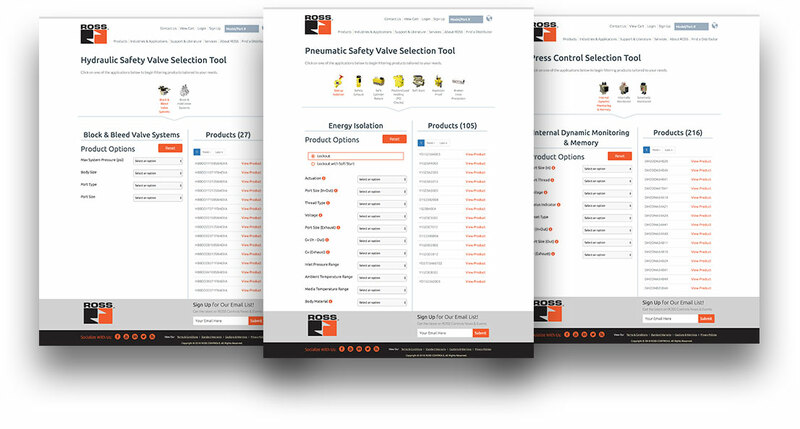 In your mission to improve workplace safety, protect your machinery investments, and deliver efficient productivity, the user-friendly Safety Valve Selection Tool will help you identify the product you need. Filter products by selecting the application that you’re interested in and then narrow your product results even further by selecting specific product options. 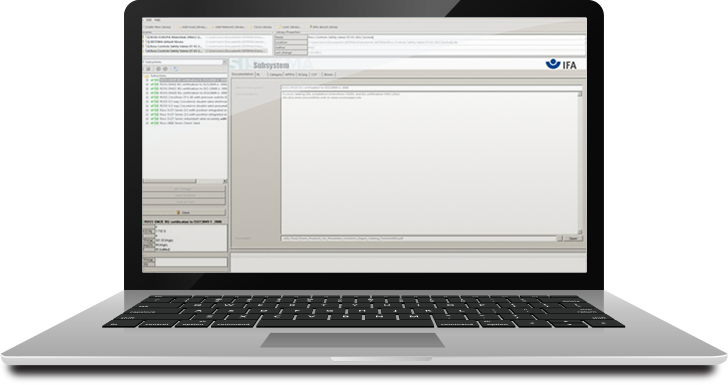 ROSS Controls is please to announce the free download of its safety product data library designed for use with the innovative new Safety Integrity Software Tool for the Evaluation of Machine Applications (SISTEMA). Developed by the Institute for Occupational Safety and Health of the German Social Accident Insurance (IFA, formerly known as the BGIA), SISTEMA is available to download currently for no charge at the IFA website. This software tool is expected to prove invaluable to system designers because of its potential time savings and safety implications. Click the link below to get started. This workbook includes three spreadsheets – one for cataloged standard valves, one for non-cataloged special valves, and one for filter replacements. The spreadsheets for the valves include part numbers for spare parts kits and replacement solenoid coils. The special valve spreadsheet are based on standard valves that have been modified for specific applications and does not include our ROSS/FLEX® solutions. The file is updated periodically, so check back with us for new models. Contact ROSS Technical Services if you cannot find what you are looking for. NOTE: After opening the ROSSNDX file, you can save the file to your hard-drive for later use; however, the links to drawings require a connection to the internet. As a ROSS customer, you have the ability to ship us back a product for repair. We want you to understand all the steps for this process. All valves returned to ROSS Controls must have a Returned Good Authorization (RGA) number. If you purchased your valve from ROSS directly, please contact our customer service department for your RGA number at (800) GET.ROSS or by email. If you purchase your valve from an authorized ROSS Controls distributor, please contact the distributor for your RGA number. This Excel workbook file contains three different types of calculation programs and two conversion programs. The calculation programs enable you to calculate Cv requirements for cylinder applications, air motor applications, and total Cv for components in series. The conversion programs enable you to convert CFM to SCFM and SCFM to CFM. Excel Download (69KB). This energy savings calculator can be used to demonstrate the pneumatic and cost savings of using our Energy Saver valves in plant applications. Download your D-Series Serial Bus System Software here. For any questions on ROSS Technical Tools or assistance downloading or using these resources, please don’t hesitate to contact our team using the form below or by calling ROSS Tech Services at 1(888) 835-7677.